This small hexagonal shaped box with lid measures approximately 4 and 1/4 inches across the top and is 2 and 1/2 inches tall. 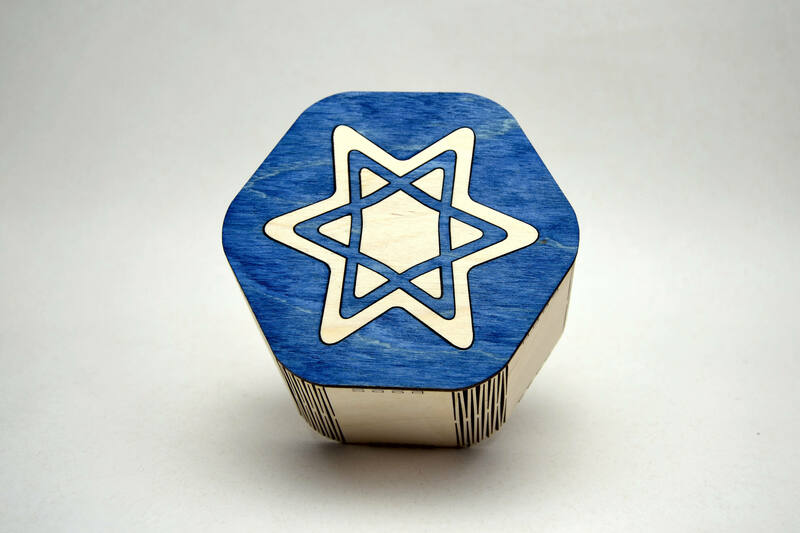 The lid is inlaid stained plywoodwood with a Star of David. Made from 1/8 inch Baltic birch plywood. A crisp pleasing butterfly design adorns the top. The sides are a single piece of plywood cut multiple times to allow it to bend to create the octagon. 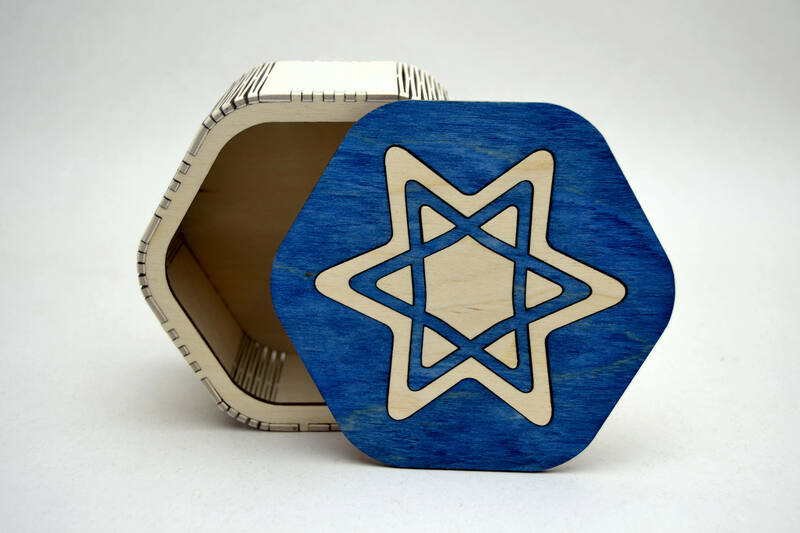 A great box to hold Hannukah gelt!